Polycystic ovary syndrome (PCOS) is a set of symptoms characterized by hormonal and metabolic imbalances. The main cause of these symptoms is the increased level of androgenic hormones. Due to these increased levels, women experience infertility, menstrual irregularities, insulin resistance, obesity, hirsutism and other symptoms. All these symptoms may or may not be associated with the presence of cysts on one or both ovaries. Moreover, these symptoms may not be necessarily present in all women. However, a set of at least two or more symptoms have been observed in all the women. Being metabolic in nature, this syndrome has many implications on all the body functions. 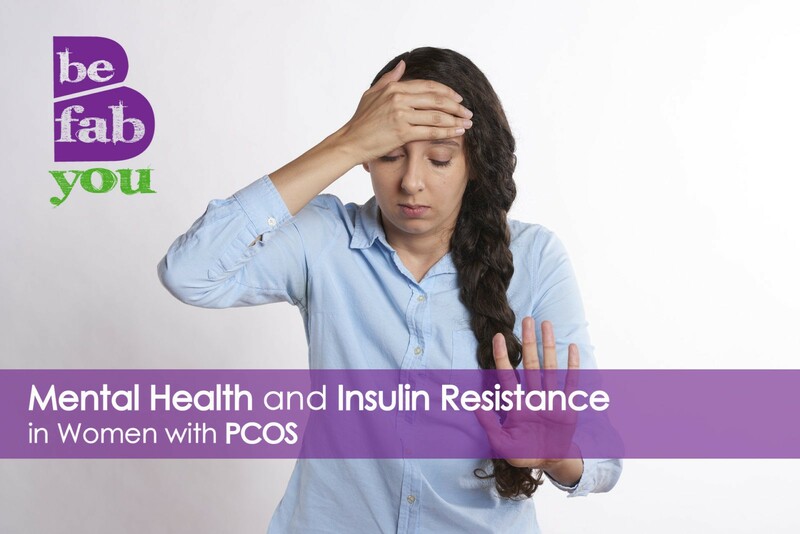 Here we will discuss the relationship of PCOS with depression, mental health and insulin resistance in women. A compromised mental health has been reported in a lot of patients with PCOS. The degree varies from slight mood disorders to bipolar dysfunctions and eating disorders. Mood dysfunctions and mental health problems are significantly higher in syndromic women. When compared with normally menstruating women, the levels of depression are higher in those with PCOS. The value of this increased level of depression in not consistent. The exact level of mental health differences between normal and syndromic women remains to be identified. 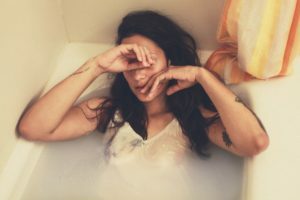 In certain cases, depression and anxiety are seen together. There is hardly any case in which anxiety has been reported alone. It is difficult to identify one reason behind this correlation between PCOS and mental illnesses. However various researches suggest that the root of this relationship lies in the increased levels of testosterone present in a woman suffering from PCOS. Women with testosterone levels higher than the normal limit have shown more signs of depression. Another research suggests that women with PCOS and lower BMI are less depressed than women with PCOS and higher BMI. But the differences are very mild. There is a very strong evidence of association of mental distress with menstrual irregularities. Various symptoms of PCOS like acne, hirsutism, and infertility can also lead to depression. Insulin resistance is very common among women with PCOS. In insulin resistant individuals a greater amount of glucose is required to elicit a response by the insulin receptors. In such individuals when the meal is taken and the glucose levels in the blood rise, the insulin released is unable to push glucose into the cells. So glucose levels remain high and thus more insulin is released in a compensatory fashion. The increased levels of insulin are related both to the increased insulin secretion and reduced clearance. The relationship of this symptom also lies in the increased levels of androgen hormones. The prevalence of insulin resistance is common among both lean and obese women however research indicates that obesity does play an additive role because of increased glucose levels. September is dedicated as the PCOS awareness month. Let’s take time out to develop a deeper understanding of this multi-faceted problem. There are ways in which women can improve their symptoms. One of the most important lifestyle areas to get full control of is your nutritional template. Make it rich on fiber and vitamins, healthy fats, and protein—remember that many leafy greens and vegetables are rich in protein. Many foods, including animal protein, show higher levels of insulin than that of glucose. Exercise goes a long way in benefiting women suffering from PCOS. Not only it lifts the mood and lower stress but it also improves insulin sensitivity and weight management. We must dig deeper than symptoms and genetics. We must not overlook the root cause of health concerns, starting from digestive health. Women suffering from PCOS need awareness and support more than anything else. If what you have been doing has not working for you and you feel confused and overwhelmed, is it time to get accountability, knowledge, support, and tools that will get you to the next level? 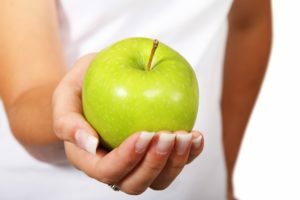 If you are ready for a lifestyle change and take charge of your health, get started by signing up for a complimentary [phone] Energy Audit Health Session to get tips you can apply immediately and a path to a healthier and more productive YOU. No Excuses. Get Started! P.S. 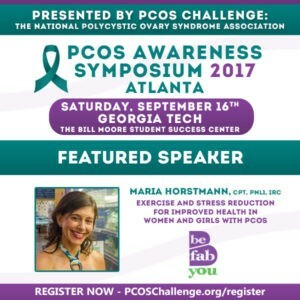 Get amazing knowledge and love from a fantastic community at the PCOS Awareness Symposium on September 16, 2017 in Atlanta. Watch the highlights of the 2016 event here. This year, I will speak about the relationship between stress, insulin resistance, and mental health and how exercise helps to manage symptoms naturally. Lastly, donate to my personal fundraising for the event here. I am targeting to raise $1K. I need your help. The funds help with research, labs, scholarships, and much more. Barry, J.A., Kuczmierczyk, A.R., Hardiman, P.J. (2011). Anxiety and depression in polycystic ovary syndrome: a systematic review and meta-analysis. Human Reproduction, 26 (9), 2442–2451. Hollinrake, E., Abreu, A., Maifeld, M., Van ,V. B.J., & Dokras, A. (2007). Increased risk of depressive disorders in women with polycystic ovary syndrome. US national library of medicine, 87 (6), 1369-76. Kerchner A, Lester W, Stuart SP, Dokras A. (2009). Risk of depression and other mental health disorders in women with polycystic ovary syndrome: a longitudinal study. Fertility and sterility, 91 (1), 207-212. Kandarakis, Evanthia, D. (2006). Insulin resistance in PCOS. Endocrine, 30 (1), 13-17. Månsson M1, Holte J, Landin-Wilhelmsen K, Dahlgren E, Johansson A, Landén M. (2008). Women with polycystic ovary syndrome are often depressed or anxious. Psychoneuroendocrinology, 33(8), 1132-1138. Weiner, Cindy L, Primeau, Margaret, Ehrmann, David A. (2004). Androgens and Mood Dysfunction in Women: Comparison of Women with Polycystic Ovarian Syndrome to Healthy Controls. Psychosomatic Medicine, 66 (3), 356-362.